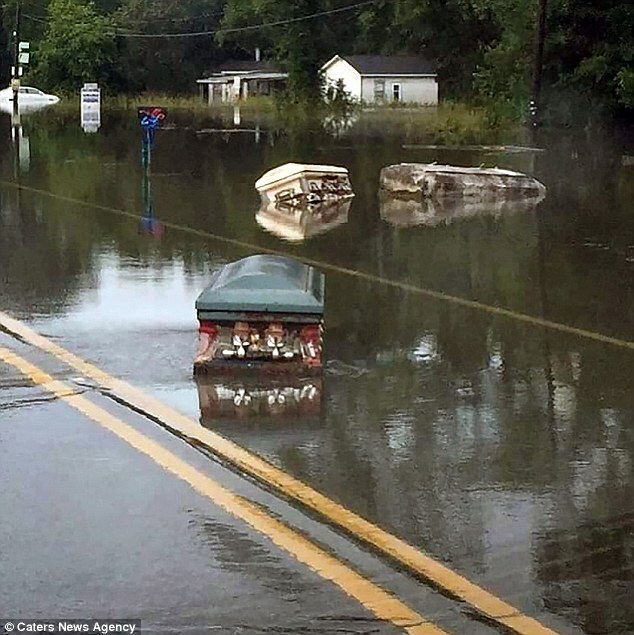 Since last October, the United States has been hit by “historic flood” after “historic flood”, and this latest flooding down in Louisiana that is making headlines all over the world has been caused by a “500 year storm“. Even before some areas of the state received more than 30 inches of rain, this was already the worst 12 months for floods in U.S. history, but without a doubt this has put an exclamation mark on this exceedingly unusual stretch of flooding. There are some rivers down in Louisiana that have crested three to four feet higher than their previous all-time records, and Governor Edwards is using the words “unprecedented” and “historic” to describe these floods. So far, 20,000 people have been rescued by authorities, and Governor Edwards even had to evacuate the Governor’s Mansion due to chest-high water in the basement. Why are we being hammered by historic flood after historic flood? As meteorologist Tim Destri with the NWS New Orleans/Baton Rouge office explains it, a low pressure system forms near the surface bringing deep tropical moisture from the warmer water in the Caribbean — almost like a hurricane but without the wind and the name. “Everything came together just right like it would with a tropical weather system,” Destri said. In fact, in some areas the damage was even worse than we saw during Hurricane Katrina. According to the Washington Post, one resident said that this flooding was “the worst situation I’ve ever been through“. And unfortunately, it isn’t over yet. More rain was forecast for today, and that is going to make the flooding even worse. On June 23, 2016, a flood hit areas of the U.S. state of West Virginia and nearby parts of Virginia, resulting in 23 deaths. The flooding was the result of 8 to 10 inches (200 to 250 mm) of rain falling over a period of 12 hours, resulting in a flood tied for seventh among Deadliest floods in West Virginia history. It is also the deadliest flash flood event in the United States since the 2010 Tennessee floods. Entire streets have been reduced to smoldering rubble, and more than 175 buildings and other structures have been destroyed, as a Northern California wildfire continues to spread. The fire about 100 miles north of San Francisco has so far spread to 3,000 acres and is 5 percent contained, officials said. The blaze on Sunday swept into Lower Lake, a town of about 1,200 people, according to The Associated Press, where it burned buildings including a post office, a Habitat for Humanity office and a winery. If you have read my latest book, you already know that 2015 was the worst year for wildfires in all of U.S. history. So that seems like a very odd “coincidence” – we are being hit by the worst flooding in U.S. history at a time when we have also experienced the worst wildfires in U.S. history. Is there some kind of a connection? Why are all of these disasters happening to us one right after another? Could it be possible that there is an explanation other than bad luck? As you can probably guess, I have come to the conclusion that we are experiencing something that goes far beyond bad luck. Just like many others out there, I believe that someone is trying to tell us something, but unfortunately most Americans are simply not paying attention.